Star Wars Limited Edition Light Up Poker Chips Set. Don't go to the Mos Eisley Cantina without this Star Wars Deluxe Poker Set! 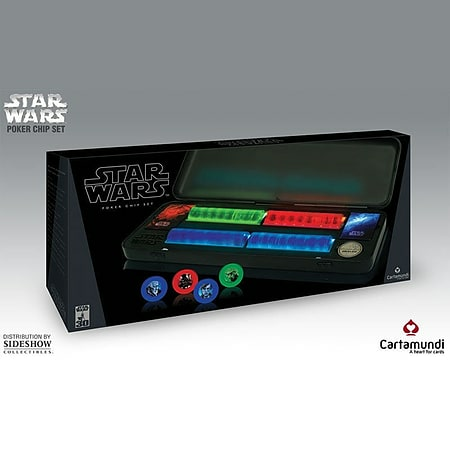 A limited edition of 20,000, the Star Wars Deluxe Poker set features 200 regulation poker chips, 1 metal Death Star dealer button, and 2 casino quality Star Wars decks exclusive to the set, all in a Star Wars branded case.